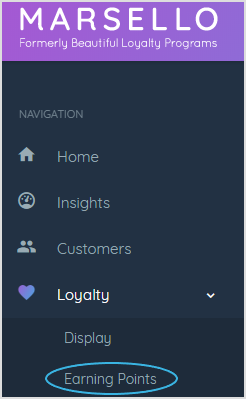 If the Create an account earning action is turned on in your loyalty app, customers who already have accounts with your Shopify store will earn points when you import them to your loyalty program. They will also receive the Earned Points email notification if you have this turned on. This is because importing these customers is like telling the system that an existing customer has decided to create their own loyalty account. 📝 Note: These steps only apply if you have previously set up your Create an account earn action. This will ensure that your newly imported customers wont earn Create an account points when you turn the task back on. 📝 Note: If you have your Earned Points email turned on, as a reminder, you will see the below when you go to Import customers/points. You can turn this off while you carry out the import.